Despite the release of recorded comments in which he said he preferred to avoid Jews and homosexuals, the president of the Italian Soccer Federation, Carlo Tavecchio, insisted on Monday that he was neither anti-Semitic nor homophobic. 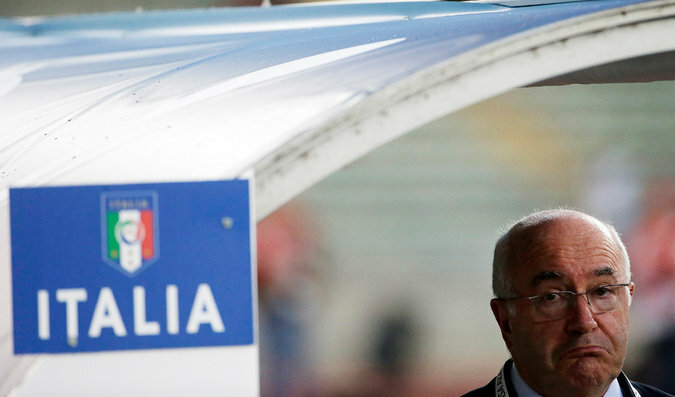 In response to the recording, Mr. Tavecchio complained in a statement on the federation’s website that it had been made without his knowledge, during what he took to be a private conversation, not an interview. He also said that those accusing him of anti-Semitism and homophobia had failed to give proper weight to the two asides in which he said, “I have nothing against” either group. “I have never discriminated against anyone” for being gay, he said. “I respect everyone’s choices,” he said, before adding that he did not think homosexuality should be a crime. Mr. Tavecchio also thanked Israel’s ambassador to Italy, Naor Gilon, who noted on Sunday that Mr. Tavecchio had been helpful in quashing efforts against Israel in world soccer’s governing body, FIFA. On Monday, however, Mr. Gilon said that “there can be no doubt that, as an Israeli, a Jew and the member of a minority, I cannot accept in the slightest the words spoken by” Mr. Tavecchio. Giovanni Malago, the president of Italy’s Olympic committee, condemned the comments, but said there was “no technical or legal mechanism” for his group to take action against the head of the soccer federation. The uproar over Mr. Tavecchio’s remarks came days after a mainstream Greek newspaper published a caricature of Greece’s former finance minister, Yanis Varoufakis, as a medieval Jewish moneylender to illustrate a column about his paid appearance on Italian television.